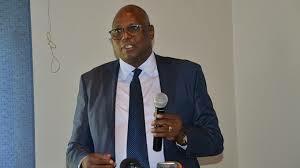 Suspended chief magistrate Mishrod Guvamombe, who is facing criminal abuse of office charges, was yesterday further remanded to February 28. Guvamombe appeared before magistrate Mrs Rumbidzai Mugwagwa for routine remand. This was after prosecutor Mr Shepherd Makonde successfully sought for a postponement of the matter on the basis that there were some investigations which were still being conducted. Guvamombe allegedly offered work-related learning to former Cabinet ministers Saviour Kasukuwere and Supa Mandiwanzira at the Harare Magistrates’ Courts. Kasukuwere and Mandiwanzira are law students at the University of Zimbabwe (UZ). They have pending criminal charges before the same court. It is the State’s case that in November last year, Guvamombe received correspondence from the University of Zimbabwe (UZ) seeking internship places for law students. On the list were Kasukuwere and Mandiwanzira. He allegedly authorised the attachment of the students by appending his signature and referred the correspondence to the deputy chief magistrate for action without any comments or reservations. Guvamombe was granted $3 000 bail, coupled with stringent conditions when he initially appeared in court.